Barton C. Gernander practices in the areas of civil and commercial litigation, with a focus in construction and real estate issues. In addition to representing business clients involved in standard and complex litigation in both state and federal courts, he serves emerging and mid-size companies in a general counsel capacity - assisting clients on achieving business solutions while minimizing exposure to liability. Gernander is licensed to practice law in the state and federal courts in Minnesota, the United States Eighth Circuit Court of Appeals, and the United States District Court for the Eastern District of Wisconsin. He serves on the Minnesota State Bar Association Court Rules and Administration Committee, the Hennepin County Bar Fourth District Ethics Committee, and is also a member of the Federal Bar Association. 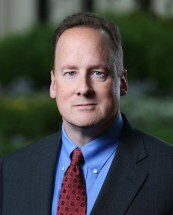 Gernander obtained his Juris Doctorate degree from the University of Minnesota Law School in Minneapolis, Minnesota. He obtained a Bachelors of Arts Degree in Philosophy, with Honors, from the University of Pennsylvania in Philadelphia, Pennsylvania. In 2006, Gernander was named a "Rising Star" in the legal profession by Minnesota Law & Politics.